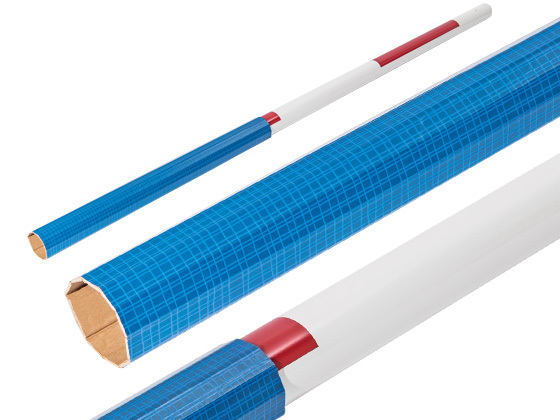 Nolco-Rib is a packaging material made of a hardboard strip laminated on both sides forming a lamellar structure. As it is manufactured in endless strips, the required length can be individually and flexibly determined in accordance with the dimensions of the packaged goods to be protected. Nolco-Rib is selectable in widths from 100 to 8,000 mm and therefore suitable as a homogeneous packaging material even for long products. It protects surfaces against shock and impact as well as other physical influences and is also used for the load-distributing wrapping and bundling of different objects. homogeneous material without splinters, can be fastened without nails, staples, etc. Do you have any questions, requests or suggestions regarding our products and solutions? Title:* -- Please select -- Mr. Mrs. Ms. I have read the privacy protection statement.